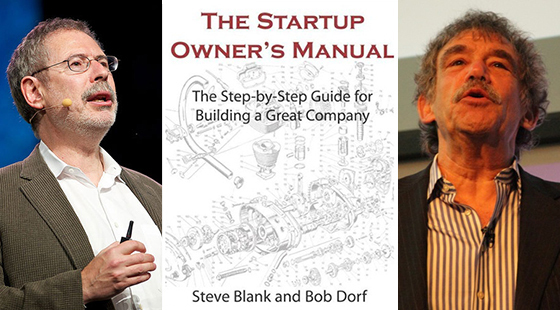 In their book “The Startups Owner’s Manual” authors Steven Gary Blank and Bob Dorf argue that almost everything we know about taking products to market is wrong! How’s that for an opening statement!? They go on to illustrate how the world of new product introduction is littered with failures, mostly because companies (including startups) are using the wrong new business development processes, largely independent on the type of inherent market the product is entering (existing, re-segmented, or new) – in other words, they’re using bureaucracy when they should be using a more scientific method to greatly enhance the odds of success or at least avoid expensive failures. Blank & Dorf define a startup as “an organization used to search for a scalable business model” (a business model is how a company generates, delivers and extracts value, aka, makes money). This is profound in many ways, but especially since it implies that an effort can get off the ground without the founders knowing in advance the business model they are ultimately scaling (yes, you should be able to get some funding for your ‘Plan A’ without knowing all the answers!) – i.e. you will get a chance to first ‘nail it’ before you ‘scale it’. Thus, the role of early stage startups (or startup efforts within large companies, aka internal ventures) is to search and pivot for a scalable business model, while the role of more advanced companies is to execute. Blank & Dorf provide the recipe to search and pivot for a business model, which is a combination of customer development, business model generation and agile product development. This requires that a startup or internal venture effort first recognize that their customer’s problem or market is unknown and that their ultimate solution or product is also unknown (the goal is to find a market/product fit). The scalable product is thus found through ‘listening’ to customer pain (or gain) points and rapid testing of needed features through the actual launch of minimum valuable products or MPV’s (many launches may be needed with different levels of sophistication in each to test for key success or scalable factors). The insight here is that startup or internal venture failures are mostly due to lack of customers not lack of ability to develop a product. Blank & Dorf therefore recommend entrepreneurial minds emulate the scientific method when pursuing a new venture, which is to work from a hypothesis and focus the initial efforts on learning and testing the hypothesis (experimenting), and NOT rushing to meet a wild-guess product launch deadline guided by pure instinct alone – don’t just product develop, customer develop in lock-step. It is important to note that something is needed to get started (pre experiment) and that ‘something’ is the vision or ultimate desired end-state – the business model needs room to breathe – Only so much money will be attributed in this initial, pre-scaling phase – i.e. The pre-seed or business plan money based on a compelling vision and the proof of concept or seed money to find a business model. It is also important to note that customer development especially applies to re-segmented or unknown markets – essentially in situations where consumption of a given product or service will be radically changed (fighting non-consumption in general (Yellow Tail wine) or significantly altering the consumption frequency (situation) of a given good (e.g. ATM’s). P.S. : Steve and Bob’s methods have been successfully adopted by government grant programs such as the National Science Foundation’s I-Corps, bridging the gap between lab to market with a process to encourage, teach and enhance the chances of technology driven venturing. Great approach, especially in markets where the only known thing is the unknown and predictability per se is far from certain. The ability to adapt should therefore not only be something that one need to expect from the management team, but also from the ‘guideline’ aka business plan they are following.